East Clare is a beautiful and hidden corner of the West of Ireland with a landscape of rugged hills and picturesque valleys intertwined with rivers, lakes, woodlands and boglands. 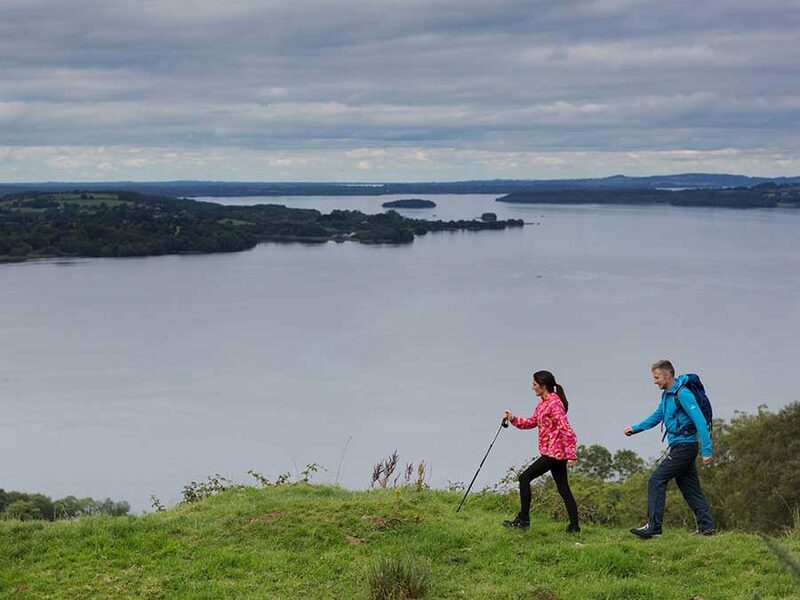 This is a circular route taking in the Slieve Bernagh mountains, Lough Graney, the Slieve Aughty mountains and Lough Derg. The region has a rich heritage of historical sites, folklore, traditional music, song and dance with regular events and festivals. This is the land of the high king Brian Boru (his stronghold stands close to Killaloe) and the great poet and hedge-schoolmaster Brian Merriman, who wrote the epic The Midnight Court as he sat looking over Lough Graney. killaloe.jpg The total distance of the walk is 112 miles with the longest stage being from Flagmount to Whitegate, a distance of 21 miles. The highest point on the walk is Cragnamurragh, 1729ft. East Clare is a beautiful and hidden corner of the West of Ireland with a landscape of rugged hills and picturesque valleys intertwined with rivers, lakes, woodlands and boglands. The total distance of the walk is 112 miles with the longest stage being from Flagmount to Whitegate, a distance of 21 miles. The highest point on the walk is Cragnamurragh, 1729ft.